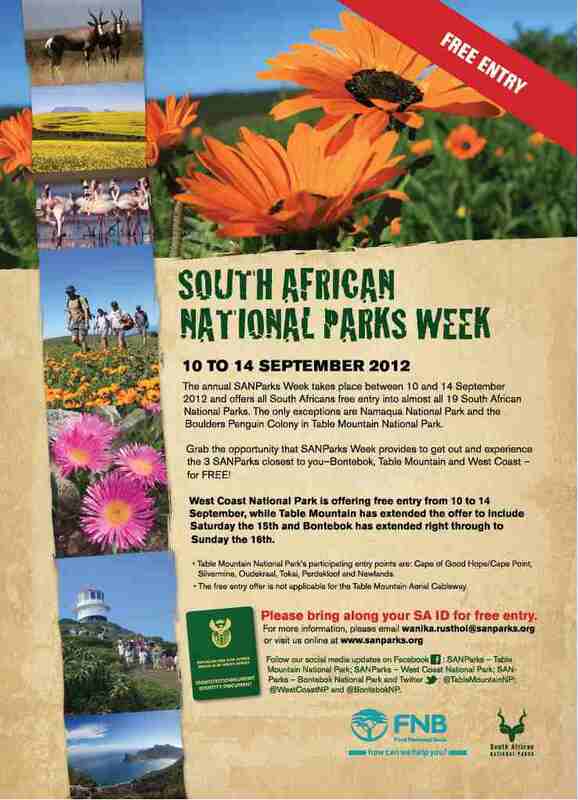 SANParks Week 2012 – Free access to the national parks! South African National Parks host a week of free access to their national parks every year. The official week runs from 10th– 14th September and allows free access to all the national parks that are managed by SANParks EXCEPT Boulders in Table Mountain National Park & Namaqua National Park. This is the 7th year that the programme has been run and the aim is to encourage South Africans, especially those from the communities around the parks, to experience the natural, cultural and historical heritage of the parks. SANParks believe the campaign has been very successful in terms of education and awareness of conservation issues. Table Mountain National Parks (except Boulders) is extending the SANParks week until Saturday 15th September, 2012. All South Africans carrying a valid and official Identity Document will be able to access Table Mountain National park for free. Persons under the age of 16 do not require ID. Please note that any services or commercial activities (such as guided safaris etc) are not included in the free access. Table Mountain National Park’s Participating Entry Points: Cape of Good Hope/Cape Point; Silvermine; Oudekraal, Tokai, Perdekloof and Newlands. The other SANParks that are close to Capetonian Residents are Bontebok National Park and West Coast National Park. Take advantage of these beautiful parks for Free. (Bontebok has extended the week to Sunday 16th September). 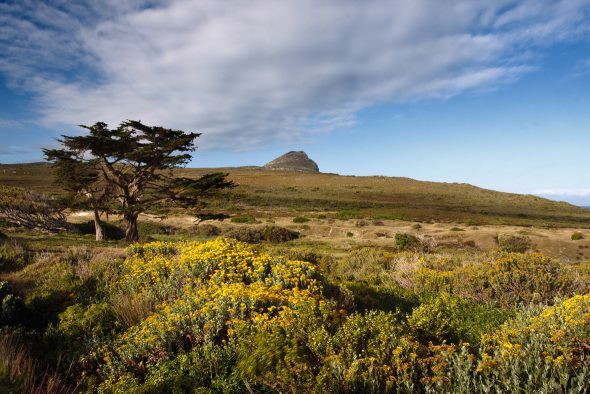 This entry was posted in Attraction and tagged Cape of Good Hope, Perdekloof, SANParks, SANParks week, Silvermine, Table Mountain National Park. Bookmark the permalink.